For the past four years, advocates for Simple/Organic/House Churches in the Kentucky, Indiana and Ohio areas have organized regional conferences (Simple Church Conference, Simple Summit) for those interested in this unique way of being the Church. 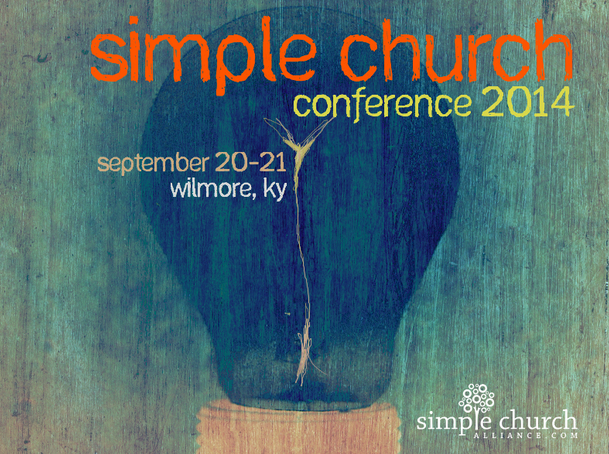 This year’s Simple Church Conference will be held on September 20th and 21st at Asbury Seminary in Wilmore, Kentucky, less than a four hour drive from major metropolitan areas such as Cincinnati, Indianapolis, Nashville, Knoxville, and Louisville, and just minutes away from Lexington, Kentucky. Today’s podcast will describe the upcoming conference and give you some highlights from last year’s conference.